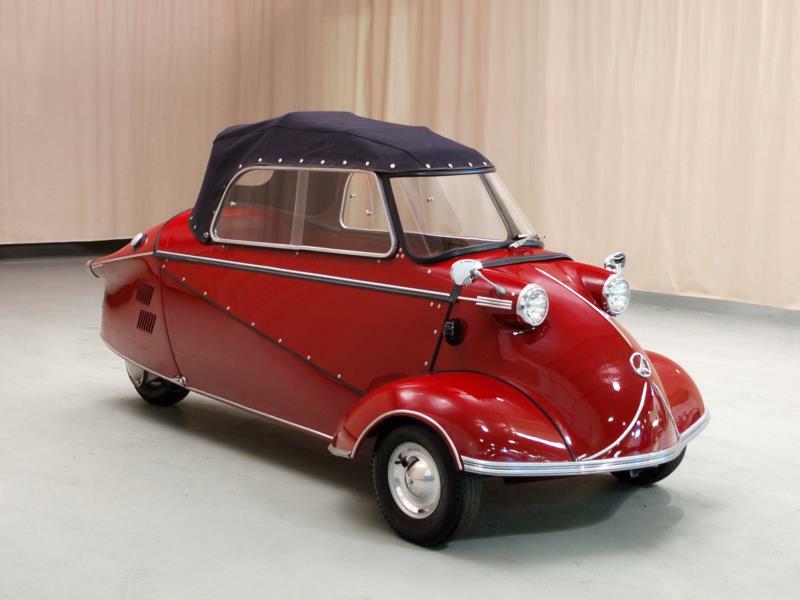 Although the company was best known for their World War II fighter planes, Messerschmitt produced a car for nearly 10 years in the 1950s and 1960s. 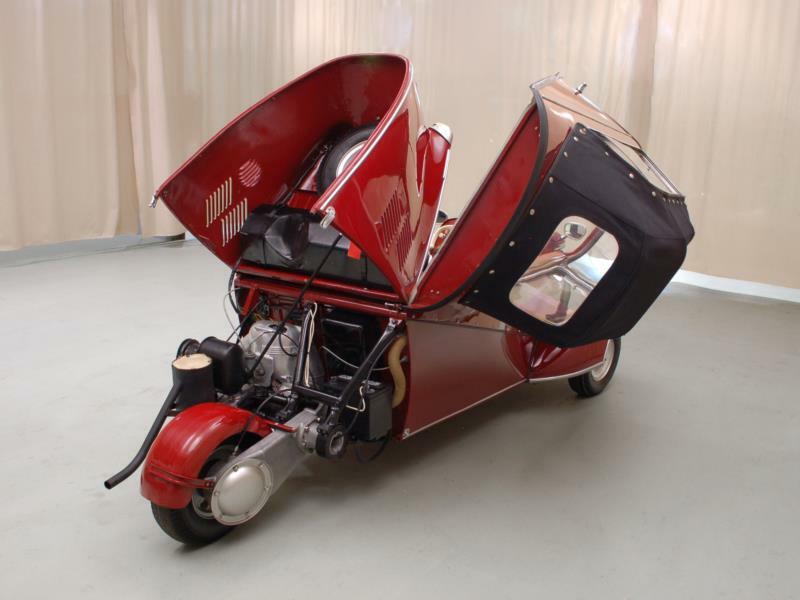 They called the design a “Kabinenroller” which basically translates to Cabin Scooter. 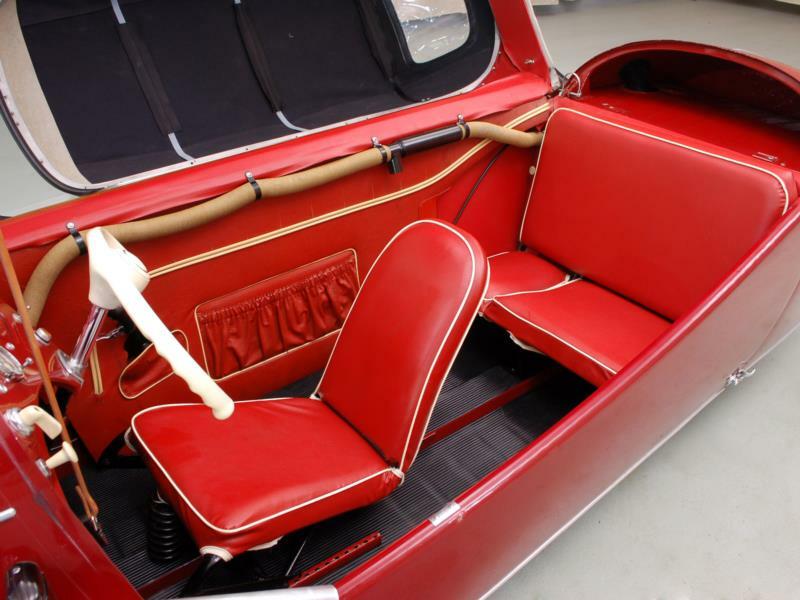 The car had been designed and prototyped by a man named Fritz Fend, who in 1953 contracted with Messerschmitt to mass-produce the car. 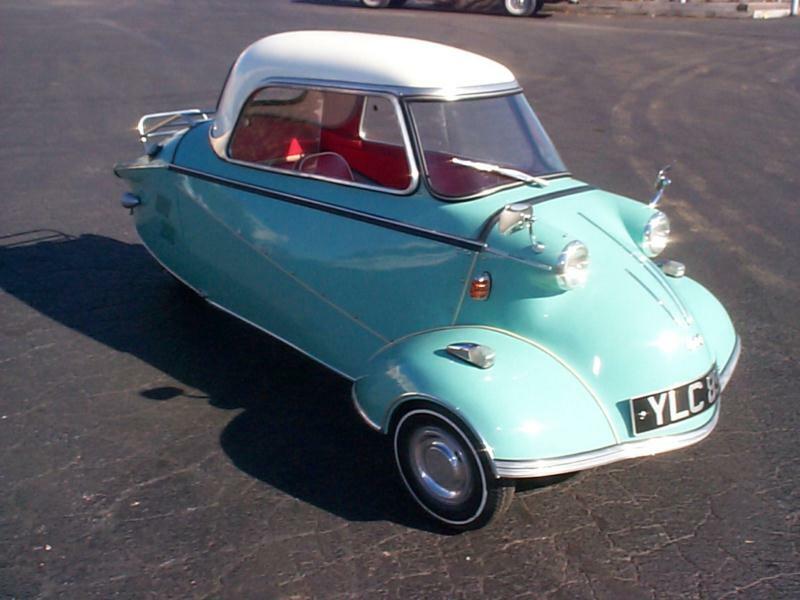 By the time the model was imported to the United States, it was 1955. U.S. distribution was given over to the Frank Sennes Motor Corporation of Glendale, California. 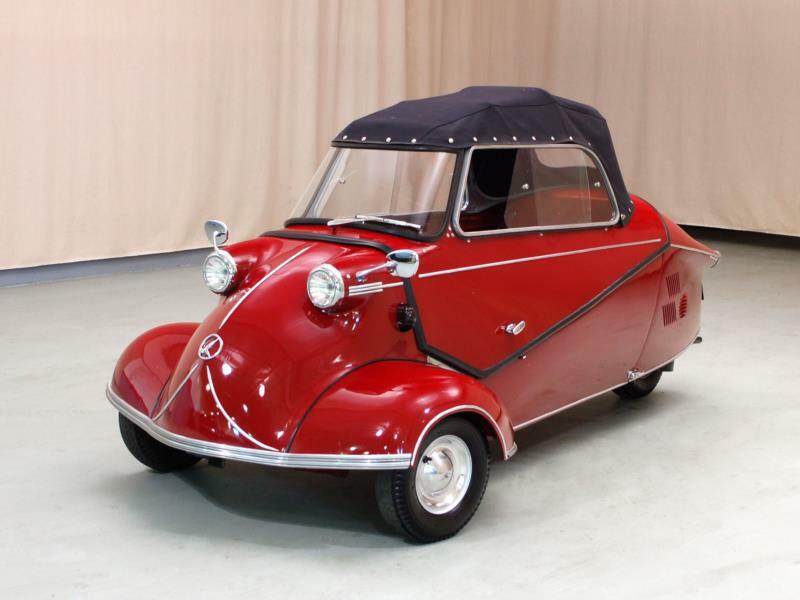 Most Messerschmitts were sold in California. 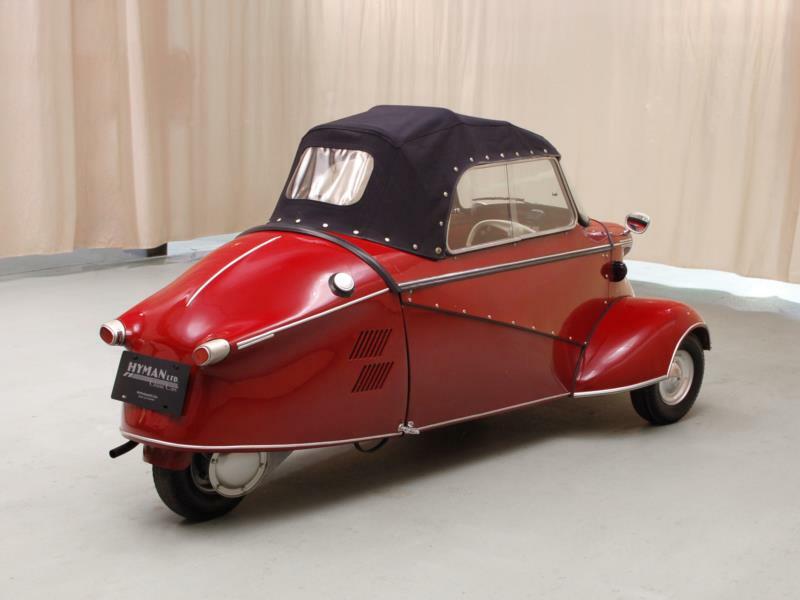 Fend’s design survived mostly unchanged in the KR200, except the 175 cc two-stroke engine had been enlarged to 191 cc and the U.S. production car had the ability to move in reverse, which the German domestic version had lacked. 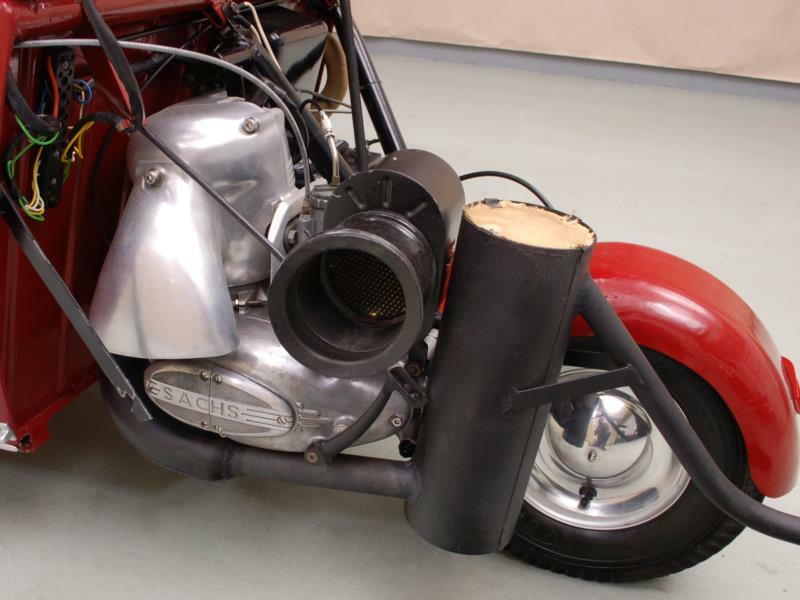 This was achieved by running the two-stroke engine in reverse, so in fact the KR200 had four reverse gears. 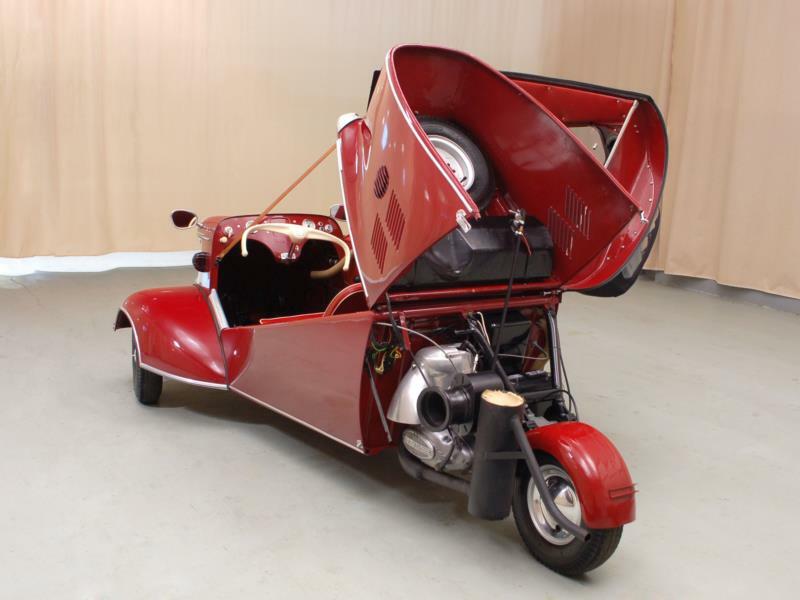 The car retained other scooter-like design features including handlebar steering and a fore-and-aft seating arrangement for the two passengers. Entry and exit was through the plastic bubble top. 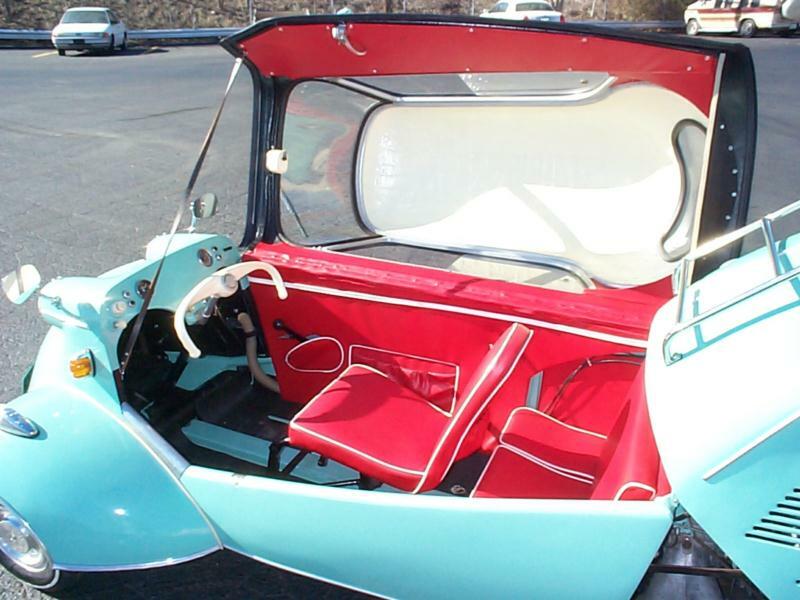 Later, a cabriolet version of the car was developed which used a standard vinyl convertible top in place of the plastic bubble canopy. 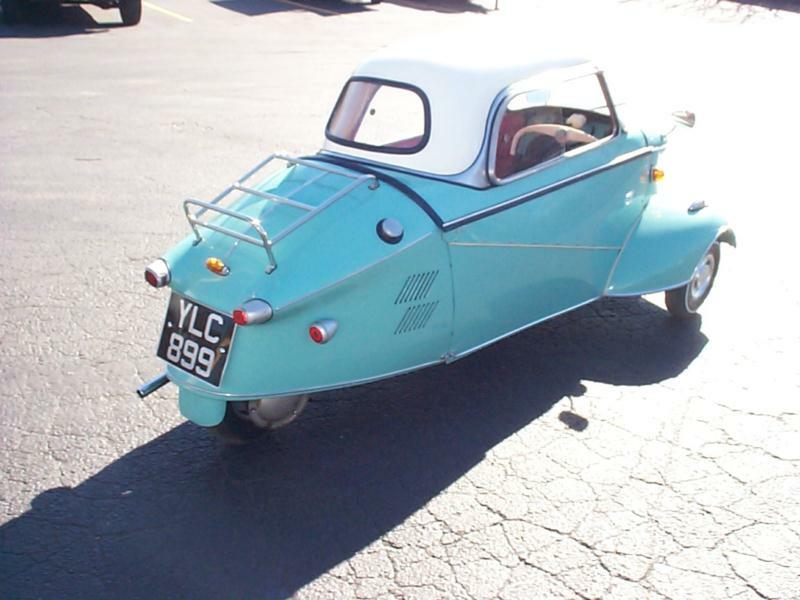 The KR200 had three wheels, two in front and one in the rear. 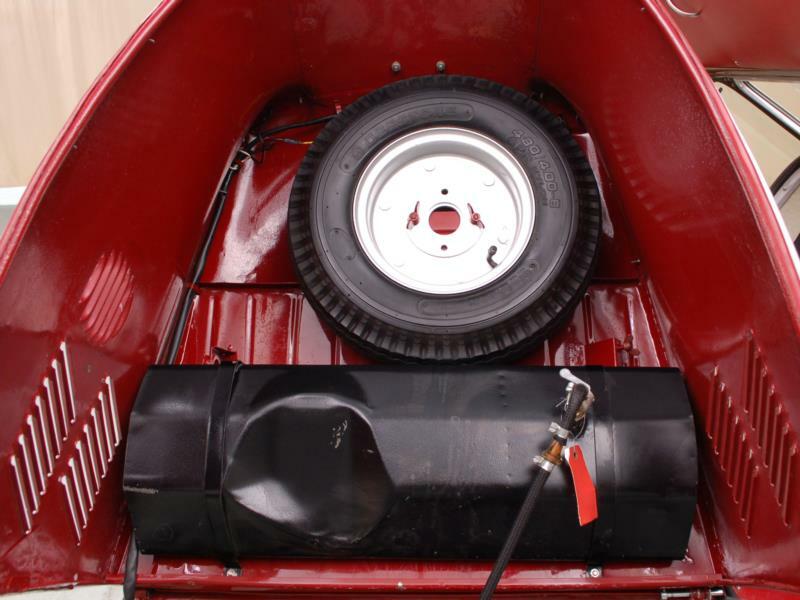 Steering was via the front wheels while the rear-mounted engine drove the rear wheel with its 10 hp. 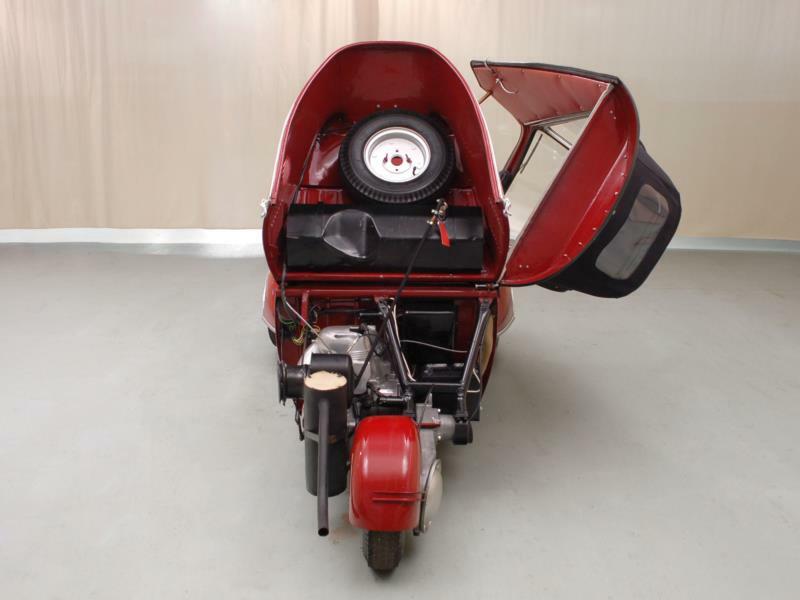 The transmission was a 4-speed sequential motorcycle unit that required the driver to step up through the gears, and then down again to stop. 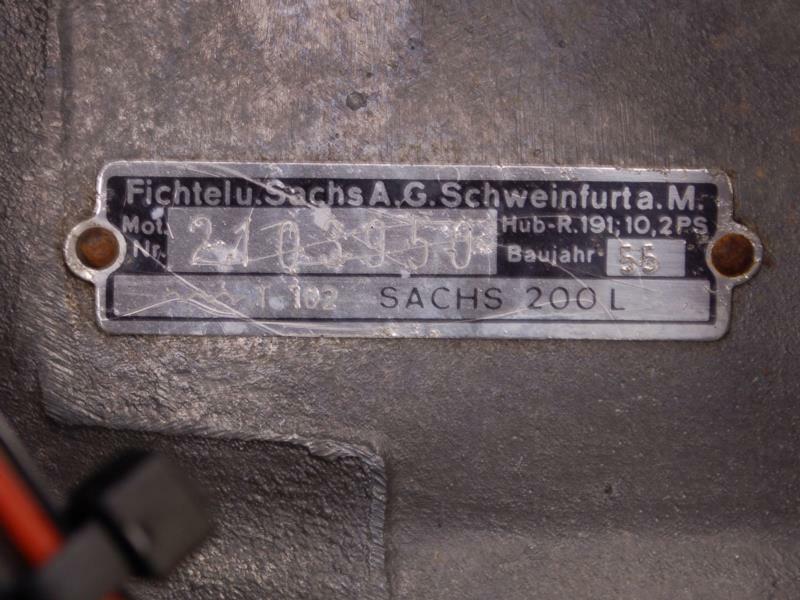 The throttle was a handgrip on the handlebars, again similar to a motorcycle. 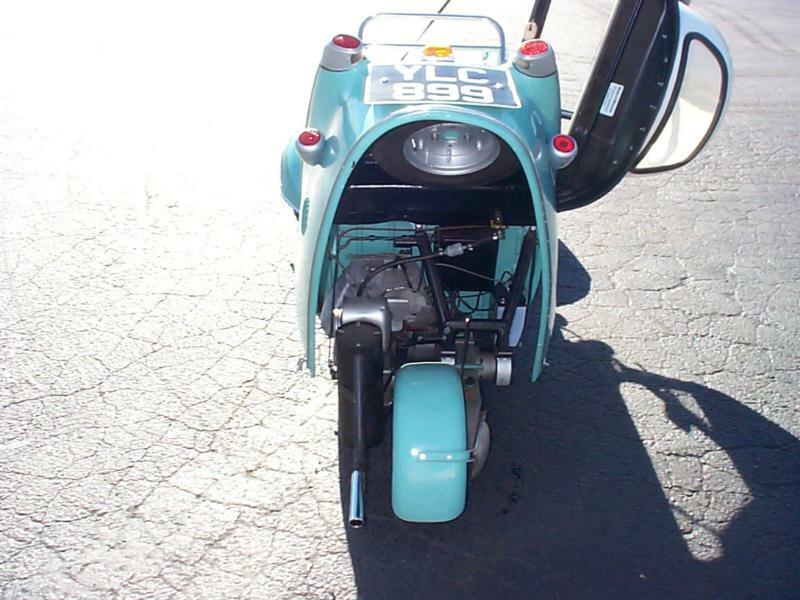 Brakes on the KR200 were entirely mechanical drums on all three wheels. 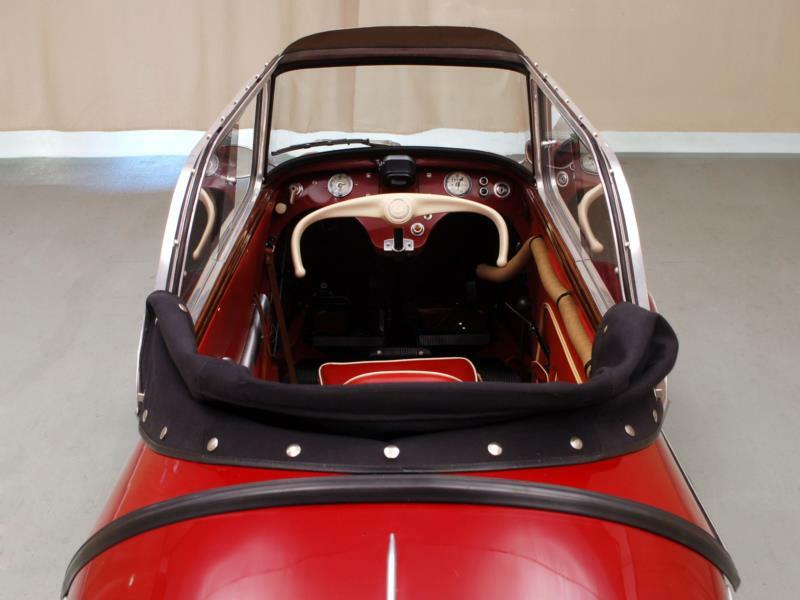 Suspension was by torsilastic springs, similar to torsion bars. Torsilastics rely on rubber cylinders that have metal sleeves cast into the outer diameter and splined metal inner diameter liners also cast in place. The rubber flexes between the inner and outer diameters, creating a torsion-elastic spring. 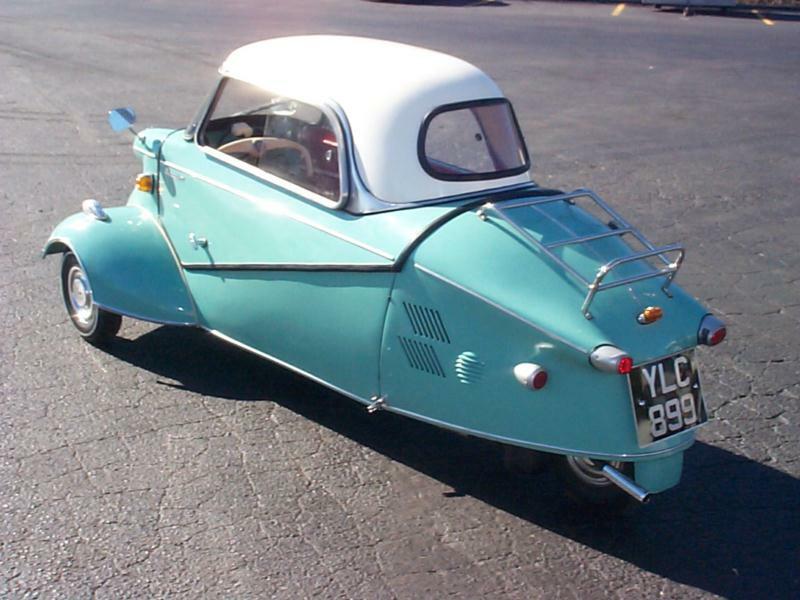 The only option available on a KR200 was a set of lightweight tube bumpers, a $50 option on a car that cost $1,073 in 1956. 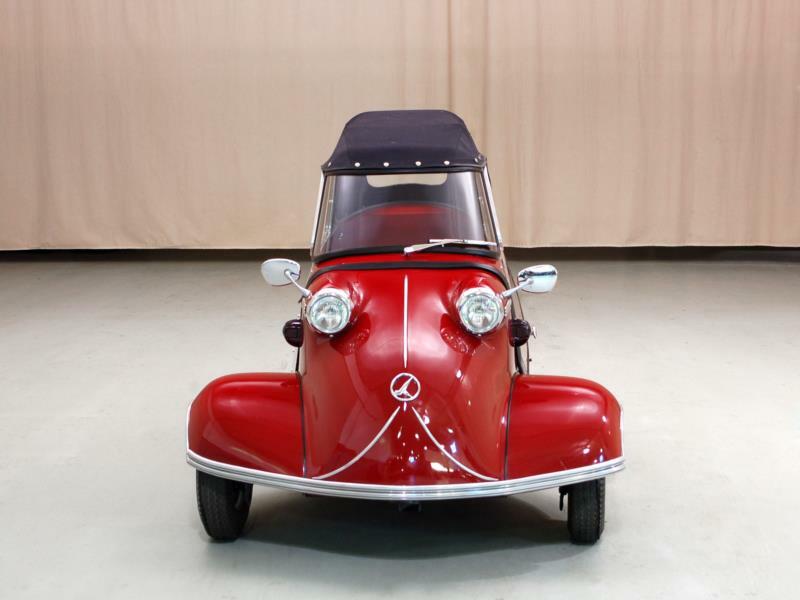 About 10,000 of the original German-market KR175 cars were built in 1953 and 1954, and then 40,000 examples of the KR200 were built between 1955 and 1964. 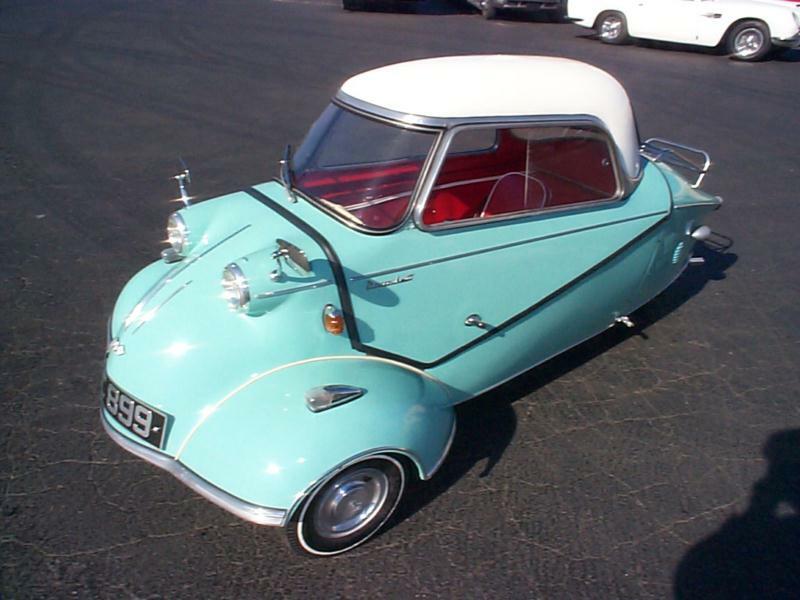 Messerschmitt went back to airplane production in 1956, and turned production back to Fend, but the cars still carried the Messerschmitt brand name. 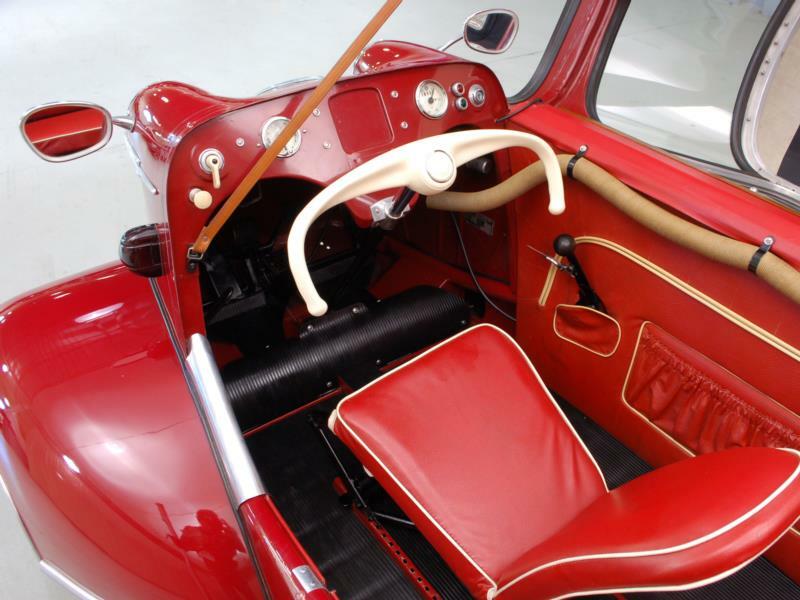 In 1957, 300 examples of a limited edition KR201 roadster were built, and today they command a value premium. 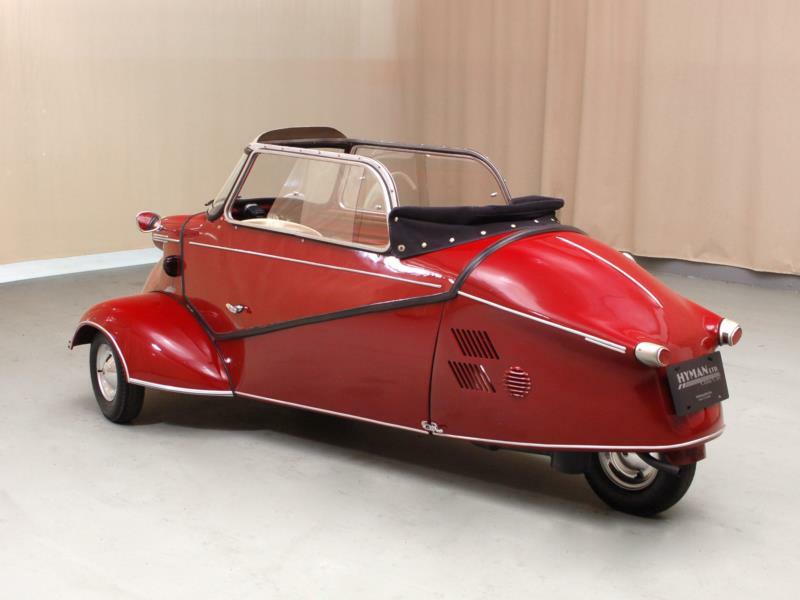 According to the manufacturer, the Messerschmitt KR200 could reach speeds of 65 mph, and fuel economy estimates ranged from 60-100 mpg. 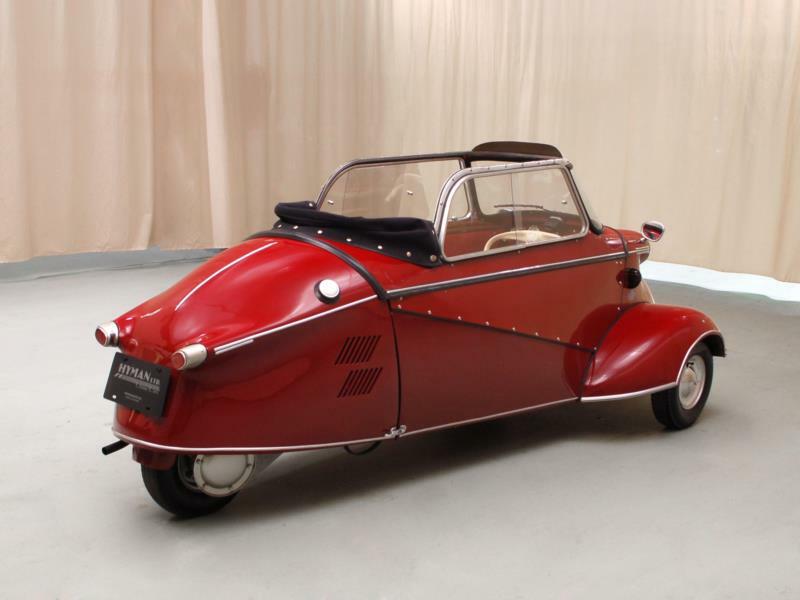 In 1955, the KR200 set several world records for low-displacement cars, including a 24-hour average speed record (64 mph) and several others. Most of these cars were sold in Germany, but enough remain in the United States that they are often seen at concours events and other car shows that feature European models. They are often seen in museum collections as well.